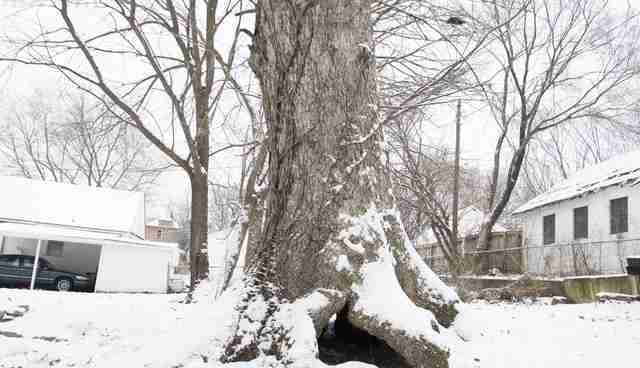 It was the second biggest snow in the Kansas City Metro this year. Temperatures have been hovering below freezing for weeks reaching wind chills of -15 degrees. The HERO Outreach Team, a division of Great Plains SPCA, works tirelessly on the streets to help educate owners on proper pet care and rescue stray, abandoned and neglected animals. It is an overwhelming issue in the area. 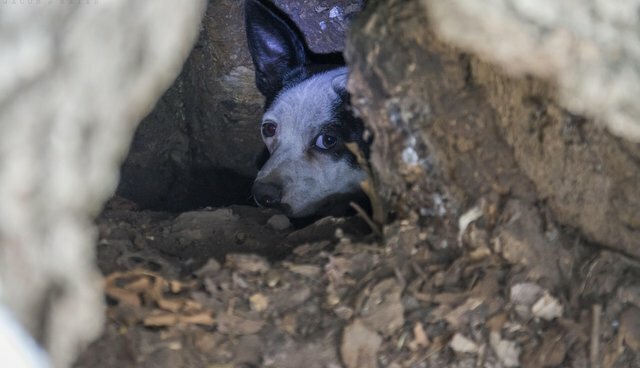 A neighborhood contact alerted the team that a Mother dog and her newborn puppies had burrowed down under the trunk of a hollow tree and were freezing to death. She had informed the team that 3 of the puppies had already died as a result of the freezing temperatures and the inadequate shelter of the hollow tree. The team immediately went straight to the location in hopes of rescuing what was left of the family. When the Team arrived just minutes after hearing of the dire situation they thought the worst. Due to a hole on the back side of the tree the freezing winds could pass freely underneath providing no safety and zero warmth. To their surprise at first look they found the mother, shivering with every inch of her body burrowed under the right side of the tree. After an estimated 45 minutes of laying under the tree with the mother to gain her trust they were able to pull her and her two surviving pups out and take them to safety. Videographer & HERO Team member Jacob Meyer was able to document the incredible rescue in this short video.